...and when the system goes live users are expected to perform flawlessly. What is it like to work in a building with a five-star green rating? How does the shift impact the staff? 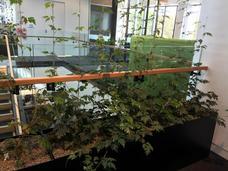 A look inside the new headquarters of Ricoh New Zealand. The Dynamics Lead for Microsoft NZ talks about breaking barriers and other lessons learned from more than two decades of working in ICT. Vodafone's philosophy that “work is what you do, not where you are” could ignite a movement towards new approaches to the way we work as the rebuild in Christchurch gathers pace, writes IT lawyer Jennie Vickers. Peter Yates at Spark Ventures discusses how his experiences in consumption based IT services can be transposed to his new domain – operations. As companies of all types and sizes struggle to survive and thrive in highly competitive markets, increasing employee engagement and productivity can provide a crucial edge. The right collaboration tools and strategy benefit both businesses and employees — and deliver the ability to support employees as though it was business as usual, even when it’s not. GoToMeeting by LogMeIn commissioned Forrester Consulting to conduct a study evaluating practices, preferences, experiences, and key challenges with collaboration adoption initiatives.